Kenya Camping Maasai Mara is Kenya's best game park, with the possibility of seeing all the big five and many other species of game. This is where the great wildebeest migration is a world spectacle. Lake Nakuru is world famous as the feeding grounds of both lesser and greater flamingos and also a sanctuary for both black and white rhino. 7 Days Samburu, Lake Nakuru & Masai Mara Camping Safari Kenya: Cheap safari Kenya tour Operator for 7 days Kenya Budget Camping Safari to Samburu, Lake Nakuru and Masai Mara: Maasai Mara camping holiday Kenya tours. Pick up from your hotel in Nairobi at 7am and drive north of Nairobi with the views of the majestic Mt. Kenya with a stop at the Equator to the open savannah of Samburu Game Reserve. We camp in the narrow stretch of palms and woodland by the Ewaso Nyiro River which provides water for the animals and some relief from the equatorial sun. Samburu camping in Kenya safaris is a different experience with hot and dry day temperatures and cool evening winds. The animals to be seen in Samburu Kenya national park tour include Lions, cheetahs, elephants, zebras, buffalo, crocodiles, leopards and many other herbivores, L,D. Day 2 : Samburu Camping safari. Full day spent exploring the park with game drives in the morning and afternoon. Dinner and overnight at a campsite. The highlights of Samburu game reserve is the spectacular scenic beauty, rivers and forests. It is an area where the local people have a rich and colorful heritage. The reserves have numerous permanent springs and a wealth of wildlife which includes leopard, hippo, elephant, lion, reticulated giraffe, grevy�s zebra and crocodile in the Ewaso Nyiro river. Over 365 species of birds have been identified in the sanctuaries, B,L,D. Soon after breakfast, break the camp and depart via Nyahururu Falls (Formerly Thomson's Falls) to the Great Rift Valley with scenic landscape viewing en route arriving to the Pink Lake often referred so due to it�s Great masses of Flamingos. After lunch proceed for game drive in the Park with numerous animals. Lake Nakuru is world famous as the feeding grounds of both lesser and greater flamingos which can be distinguished by size and color. Besides that, more than 400 species of birds can be seen in the park. Between the lake and the cliffs in the west, large pythons inhabit the dense woodland, and can often be seen crossing the roads or dangling from trees. Dinner and overnight at campsite, B,L,D. .Morning game drive to watch and photograph Birds and wild animals. After breakfast depart to Maasai Mara, Arrive in time for lunch. Afternoon game drive is taken. The Maasai Mara's 320 square kilometers of open savannah, woodlands and tree-lined rivers create an eco-system which supports huge numbers of bird and mammal species. The western border of the park is the spectacular Siria Escarpment, and together with the acacia dotted plains, creates scenery of stunning beauty. Lions are found in abundance throughout the park, as are elephant, giraffe, a variety of gazelle species and zebra. Cheetah and leopard are also regularly seen and if lucky, you may also get to see rhinos. This safari consists of quality accommodation and a superb opportunity for experiencing an adventurous journey across the heart of Kenya and viewing the game animals and in some cases all of the 'big five' It truly promises to be an exciting and unforgettable experience. Dinner and overnight at campsite. Full day in Maasai Mara with morning and afternoon game drives. Optional visit to a local Maasai village at $25 per person or hot air balloon ride at $425 available. Meals and overnight at campsite. Morning game drive then return to the campsite for breakfast .We drive back through the Masai town of Narok and stop for some souvenir shopping, before continuing across the plains to Nairobi where the safari ends. .Accommodation in two person tents. To reserve the above tour, please contact us now! Please see below our available Kenya budget camping trips for joining. The Masai Mara Kenya national park vacation camping tour is simply the best experience in Kenya. 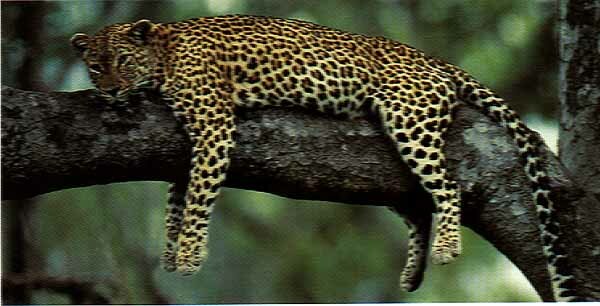 Bestowed with a high population of wildlife than any other Kenya national park. Masai Mara Kenya is by far your best bet for a real Kenya African bush experience. Samburu National Reserve lies 325 km north of Nairobi in the hot and arid fringes of the vast northern region of Kenya. The Reserve is within the lands of the colourful Samburu people, close relatives of the Maasai, and harbours a number of wildlife species rarely found elsewhere in any numbers. These include Grevy's zebra, the reticulated giraffe and the Beisa oryx all species found only north of the equator. The long-necked gerenuk is a graceful antelope which spends much of its time in a bi-pedal stance seeking succulence among the withered scrub which dots this harsh terrain. Scenically and faunally dramatic, for most of the year Samburu is sere under the unsympathetic equatorial sun. But relief comes from the wide swathe of the Ewaso Ngiro River which rises some hundreds of kilometres to the west on the foothills of the Aberdares and which vanishes beyond Samburu in the recesses of the Lorian swamp. The river is at its best in the Reserve, broad and sluggish with a large population of crocodile seen on sandbanks at almost every bend. In the lower reaches, where permanent pools have formed as a tributary joins the river, are hippo. The river is fringed with giant acacias, figs and doum palms all of which provide shade and sustenance to the wildlife which comes to water. Elephant roam the gaunt hills which punctuate the scrubland and where occasional clusters of the vividly coloured desert rose challenge the arid surroundings. These elephant seek solace and contentment in the shallow waters of the river and from time to time a visitor finds herds bathing and drinking in a spectacle of unconscious pleasure. Buffalo Springs National Reserve is separated from the Samburu Reserve by the river; less hilly and less dense than its neighbour it is equally as attractive. The Reserve takes its name from an oasis of limpid crystal clear water at the western end of the sanctuary. In addition to the wildlife found in Samburu the common zebra is also an attraction often marching with its cousin the Grevy, although they do not interbreed. An unexplained phenomenon is why the common zebra is not found on the north side of the river. Birdlife, too, is prolific with the Somali ostrich dominating the plains. Larger than its southern relative the Maasai ostrich it is more easily distinguished by its indigo legs and neck. Next in size is the kori bustard who stands a metre high. His behaviour is unpredictable, at times running or crouching at the first sign of danger and at others completely fearless of humans. The male has a remarkable display inflating his neck and neck feathers until the head seems to disappear then raising his tail until it lies along his back. These two reserves, with Shaba which lies east of the road linking Isiolo with Marsabit, form a trio of unusual and attractive game sanctuaries very different from others in Kenya. Shaba has a particular place in the history of Kenya game conservation for it was in this reserve that the authoress, Joy Adamson, was murdered early in 1980, her trilogy of books on the rehabilitation of the compliant leopard to a wild environment unfinished. The reserve takes its name from a massive cone of volcanic rock which dominates the region and evidence of the intensity of its upheaval is demonstrated by the formidable lava flow which the traveler has to cross to reach the reserve and the lodge. The Reserve's northern boundary is marked by the wide, sauntering motion of the Ewaso Ngiro on its way to Chanler's Falls and beyond to its final destination at the Lorian Sw& the tall doum palms which mark its course in silent contrast to the rugged and pitted tracts which make up much of the sanctuary. Many small hills dot the landscape and with four springs Shaba is better watered than its neighbours. Heavy downpours during the rainy months may render the already rough tracks accessible only for four-wheel drive vehicles. But this only serves to make the 220 sq km reserve even more of a getaway delight. And that is the essence of Shaba. It is a place for the connoisseur, where the quality of the experience exceeds the quantity of wildlife. The Masai Mara Kenya is also famous for its annual wildebeest migration between July � October. The migration sees over 2.5 million wildebeest cross from the Serengeti in Tanzania into Kenya in search of fresh grass. Recently the Masai Mara of Kenya was selected as the new 7th wonder of the world. This is enough reason for the Masai Mara to be your next Kenya tour vacation and camping destination. Kenya Camping in the Masai Mara is done at selected campsites next to rivers where you will see the migration in earnest. River crossings of the migration are the most spectacular Kenyan sights where the sheer numbers simultaneously dive into the river making a swash like thunder. Camping in Masai Mara Kenya includes a 2 man tent, camping furniture, catering by a professional safari chef and a stand by private safari van for game drives. Naturally, camping in Kenya�s Maasai mar is more affordable compared to the luxury tented camps and lodges that charge an arm, leg and foot per day. Amboseli Kenya National Park is arguably the second best camp Kenya vacation tour destination. The Kenyan park is located on the south western side of Kenya and on the shadows of Africa�s highest mountain-mt Kilimanjaro. Amboseli Kenya National Park is 2� hrs from Nairobi and as such within easy reach for even day trips. Nature in its majesty has created this unrivalled park in the backdrop of the mountain that continually seeps crystal clear waters into the park. The underground volcanic pores of the magnanimous Mount Kilimanjaro filters the snow waters and these emerge at Amboseli Kenya national park as springs of crystal clear and cool waters. It is for this reason that the park is a mecca for Africa�s and Kenya largest populations of elephants. The Amboseli Kenya elephants are particularly larger than others found elsewhere and are also more habituated. Amboseli Kenya camping experience is unique in that you are able to breathe the fresh mountain air and watch hundreds of elephant herds as they wallow and drink from the crystal waters of Ol tukai springs. In Amboseli Kenya, Elephants are everywhere around your campsite. Samburu Kenya national park tour and Kenya camping takes you 5 hrs from Nairobi Kenya into the northern parts of Kenya. Samburu Kenya National Park offers different wildlife from what is found in the other parks of Kenya. In Samburu Kenya national park you will be able to see the endangered and different wildlife species like the reticulated giraffe, the round eared grevy zebra and the gerenuk (giraffe antelope). Samburu Kenya national park is also the location that the survivor series 4, a popular real life American television show was shot 3 years ago. The Kenyan national park is dotted with small mountains and hills interspersed with continuous semi arid savannah and criss crossed by the largest northerly river-river Ewaso Nyiro. The Samburu Kenya people of the area are a big attraction to tourist. Cousins of the Masai of Kenya, Samburu resemble the former in all aspects of their nomadic life. Several Kenya Samburu �manyattas� (villages) surround the Kenya park and it�s always worth while to visit them and experience the diversity of Kenyan cultures. Camp Kenya safaris here are a different experience with hot and dry day temperatures and cool evening winds. The animals to be seen in Samburu Kenya national park tour include Lions, cheetahs, elephants, zebras, buffalo, crocodiles, leopards and many other herbivores. Lake Nakuru is one of the Rift Valley soda lakes. It lies to the south of Nakuru, in central Kenya and is protected by a small Lake Nakuru National Park. The lake's abundance of algae attracts the vast quantity of flamingos that famously lines the shore. Other birds also flourish in the area, as do warthogs, baboons and other large mammals. Black and White rhinos have also been introduced. The lake's level dropped dramatically in the early 1990s but has since largely recovered. Nakuru means "Dust or Dusty Place" in Maasai language. Lake Nakuru National Park, close to Nakuru town, was established in 1961. It started off small, only encompassing the famous lake and the surrounding mountainous vicinity. Now it has been extended to include a large part of the savannahs. Low cost camping safari, cheap Amboseli budget camping and discount camping safari deals. Lake Nakuru National Park (168 km�), created in 1961 around Lake Nakuru, near Nakuru Town. It is best known for its thousands, sometimes millions of flamingos nesting along the shores. The surface of the shallow lake is often hardly recognizable due to the continually shifting mass of pink. The number of flamingoes on the lake varies with water and food conditions and the best vantage point is from Baboon Cliff. Also of interest is an area of 188 km around the lake fenced off as a sanctuary to protect Rothschild giraffes and black rhinos. The park has recently been enlarged partly to provide the sanctuary for the black rhino. This undertaking has necessitated a fence - to keep out poachers rather than to restrict the movement of wildlife. The park now has more than 25 rhinos, one of the largest concentrations in the country, so the chances of spotting these survivors are good. There are also a number of Rothschild's giraffe, again translocated for safety from western Kenya beginning in 1977. Waterbuck are very common and both the Kenyan species are found here. Among the predators are lion and leopard, the latter being seen much more frequently in recent times. The park also has large sized pythons that inhabit the dense woodlands, and can often be seen crossing the roads or dangling from trees. Low cost camping Safari, cheap Amboseli budget camping, discount camping safari deals. Lake Nakuru, a small (it varies from 5 to 45 square kilometers) shallow alkaline lake on the southern edge of the town of Nakuru lies about 160 kilometers north of Nairobi. It can therefore be visited in a day tour from the capital or more likely as part of a circuit taking in the Masai Mara or Lake Baringo and east to Samburu. The lake is world famous as the location of the greatest bird spectacle on earth - myriads of fuchsia pink flamingos whose numbers are legion, often more than a million - or even two million. They feed on the abundant algae, which thrives in the warm waters. Scientists reckon that the flamingo population at Nakuru consumes about 250,000 kilos of algae per hectare of surface area per year. There are two types of flamingo species: the Lesser flamingo can be distinguished by its deep red carmine bill and pink plumage unlike the greater, which has a bill with a black tip. The Lesser flamingos are ones that are commonly pictured in documentaries mainly because they are large in number. The number of Flamingos has been decreasing recently, perhaps due to too much tourism, pollution resulting from industries waterworks nearby who dump waste into the waters or simply because of changes in water quality which makes the lake temporarily inhospitable. Usually, the lake recedes during the dry season and floods during the wet season. In recent years, there have been wide variations between the dry and wet seasons' water levels. It's suspected that this is caused by increasing watershed land conversion to intensive crop production and urbanization, both which reduce the capacity of soils to absorb water, recharge groundwaters and thus increase seasonal flooding. Pollution and drought destroy the flamingos' food, Cyanobacteria, or blue-green algae, and causing them to migrate to the nearby Lakes, more recently lakes Elmenteita, Simbi Nyaima and Bogoria. Local climate changes have also been hypothesized to contribute to the changing environmental conditions in the lakes catchment. Recent media reports indicate increasing concern among stakeholders, as mass flamingo migrations and deaths could spell doom to the tourism industry. The flamingos feed on algae, created from their droppings mixing in the warm alkaline waters, and plankton. But flamingo are not the only avian attraction, also present are two large fish eating birds, pelicans and cormorants. Despite the tepid and alkaline waters, a diminutive fish, Tilapia grahami has flourished after being introduced in the early 1960s. The lake is rich in other birdlife. There are over 400 resident species on the lake and in the surrounding park. Thousands of both little grebes and white winged black terns are frequently seen as are stilts, avocets, ducks, and in the European winter the migrant waders. 5 Days Nakuru Masai Mara camping safari, Kenya camping safaris, kenya budget camping safaris, Lake Nakuru camping safari, Maasai Mara camping, Kenya wildlife camping tour - Low cost camping Safari, cheap Amboseli budget camping, discount camping safari deals - 7 Days Samburu, Lake Nakuru & Masai Mara Camping Safari Kenya: Cheap safari Kenya tour Operator for 7 days Kenya Budget Camping Safari to Samburu, Lake Nakuru and Masai Mara: Maasai Mara camping holiday. The Masai Mara (aka Maasai Mara) is a large park reserve in south-western Kenya, which is effectively the northern continuation of the Serengeti National Park game reserve in Tanzania. Named for the Maasai people (the traditional inhabitants of the area) and the Mara River which divides it, it is famous for its exceptional population of game and the annual migration of the wildebeest every July and August, a migration so immense it is called the Great Migration. Masai Mara, Nakuru and Amboseli low cost camping Safari, cheap Amboseli budget camping, discount camping safari deals. The Masai Mara is perhaps most famous for its lions. All other members of the "Big Five" are to be found in the Masai Mara, although the population of black rhinoceros is severely threatened, with a population of only 37 recorded in 2000. Hippopotami are found in large groups in the Masai Mara and Talek Rivers. Cheetah are also to be found, although their numbers are also threatened, chiefly due to tourist disruption of their day-time hunting. As mentioned above, the plains between the Mara river and the Esoit Oloololo Escarpment are probably the best area for game viewing, in particular regarding lion and cheetah. Like in the Serengeti, the wildebeest are the dominant inhabitant of the Masai Mara, and their numbers are estimated in the millions. Around July of each year these ungainly animals migrate in a vast ensemble north from the Serengeti plains in search of fresh pasture, and return to the south around October. The Great Migration is one of the most impressive natural events worldwide, involving an immensity of hervibores: some 1,300,000 Wildebeest, 360,000 Thomson's Gazelle, and 191,000 Zebra. These numerous migrants are followed along their annual, circular route by a block of hungry predators, most notably lions and hyena. Numerous other antelope can be found, including Thomson's and Grant's gazelle, impala, topi and Coke's hartebeest. Large herds of zebra are found through the reserve. The plains are also home to the distinctive Masai giraffe as well as the common giraffe. The large Roan antelope and the nocturnal bat-eared fox, rarely present elsewhere in Kenya, can be seen within the reserve borders. The Masai Mara is a major research centre for the spotted hyena. Additionally, over 450 species of birdlife have been identified in the park, including vulture, marabou, secretary bird, hornbill, crowned crane, ostrich, long-crested eagle, and pygmy falcon. 5 Days Nakuru Masai Mara camping safari, Kenya camping safaris, Kenya budget camping safaris, Lake Nakuru camping safari, Maasai Mara camping, Kenya wildlife camping tour. Kenya budget camping safaris: Join budget camping tour in Kenya: Camping tours in Kenya budget camping. Please see below our available Kenya budget camping trips for joining. Masai Mara camping safari, Masai Mara camping tour, Kenya budget trips, Maasai Mara wildebeest migration, camping trip Maasai Mara. Check on us for Kenya Camping 7 Days Kenya camping, Samburu camp tour, Lake Nakuru budget trip, Masai Mara camping safari, Kenya Cheap safari, Kenya tour Operator , Budget camping safari, Maasai Mara camping holiday: Kenya tours.